Mexico City - A Mexican judge has ruled that drug lord Joaquin “El Chapo” Guzman can be extradited to face charges in the United States, the country’s federal court authority said on Monday, days after he was moved to a prison on the U.S. border. 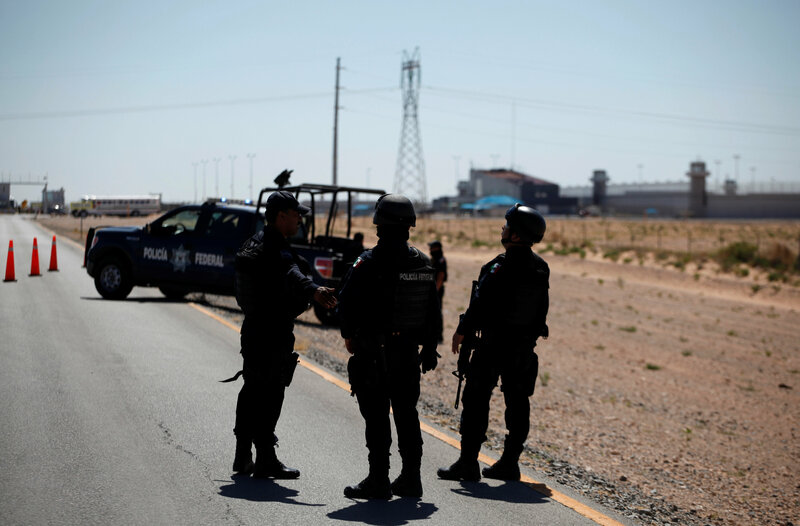 Early on Saturday, Guzman was moved to a high security prison in the northern city of Ciudad Juarez on the U.S. border, and a senior Mexican security official said the kingpin’s extradition was in motion and would happen by mid-year. Guzman, boss of the powerful Sinaloa Cartel, was for years the world’s most wanted drug trafficker until his capture by Mexican Marines in February 2014. He then embarrassed the government by escaping from prison through a tunnel last July. The government recaptured him in January and President Enrique Pena Nieto said soon afterwards that he had taken steps to ensure Guzman was extradited as soon as possible. He faces charges ranging from money laundering to drug trafficking, kidnapping and murder in cities that include Chicago, Miami and New York. Juan Pablo Badillo, one of Guzman’s lawyers, said his client’s legal situation was still being processed and that to extradite him now would be a violation of his human rights. Badillo said there were nine appeals pending against Guzman’s extradition. However, government officials have said in private that the decision to extradite the drug lord is essentially a political decision dependent on the president. A government source said on Monday nothing was likely to happen to Guzman for weeks. I told you they are sending us criminals!!! I suppose I ought not to point out that New York was the city that was frightened to try terrorists. The security for this guy will be no less.